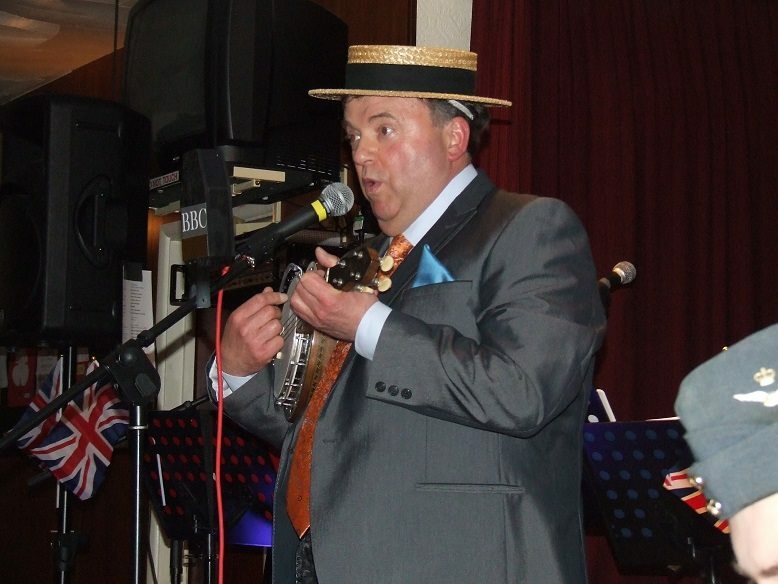 George Formby Tribute - You Book Entertainment - Hire Quality Entertainment For Any Event, Wedding, Party or Venue. Get your listing now too. Derek will have your audience in the palm of his hand as he sings and plays the ukulele banjo in the unique George Formby style performing a repertoire of popular,humorous George Formby songs also many 1940s and Wartime favourites.Derek enjoys a humorous banter with the audience and encourages then to sing along.His entertaining musical tribute act to George Formby can include a lighthearted,cheeky talk on the Life of George Formby which also includes humorous banter with the audience.Ideal for Wartime/1940s functions and events,Music Hall and Variety Shows,Private Parties,Corporate Events and much more!